The cold, dry air of winter can wreak havoc on hair, causing it to lose moisture, luster, and softness. Combat this damage by incorporating a hydrating hair mask into your routine at least twice a week. 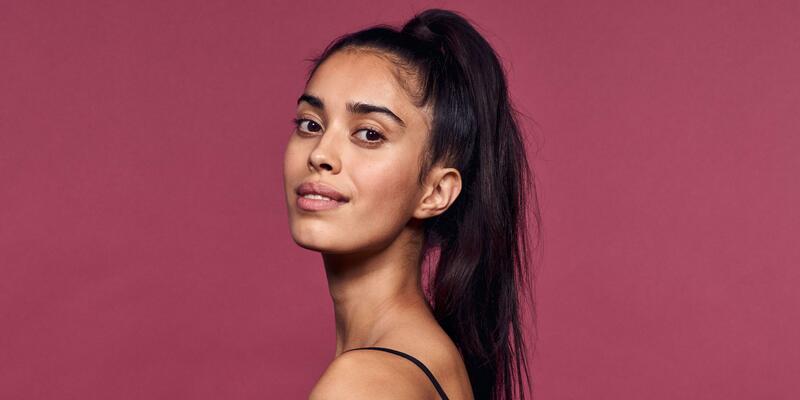 Apply before your workout to multitask and getter better results, since the heat from exercise can activate certain ingredients in masks, like silk and wheat proteins, amino acids, and jojoba oil, which allows them to work more efficiently, says New York City-based hair stylist Clay Nielsen. Below, four mask picks to pair with your fitness activity of choice. Ideal for a workout that lasts at least an hour, this product glues broken strands back together, and works better the more time it’s left on. Before your practice, apply it from the scalp to the ends of dry hair. Then, twist hair into a tight braid to keep it off your face while you move. By wearing a mask under a swim cap, you can prevent the color-fading and drying effects of chlorine while also repairing already-damaged strands. This one is made with wheat germ, an ingredient with moisture-replenishing capabilities that will be further triggered by the heat of your scalp after a few laps. Work into wet or dry hair from mid-length to the ends before tucking it into the cap. This treatment comes in single-use packaging, ideal for throwing in your gym bag. It’s hydrating yet lightweight, so it won’t drip down your back while you work out. Put your hair in a ponytail before applying the product to the ends; then tuck it into a bun to keep it secure. Post-exercise and pre-shower, make the most of your time in the sauna with a rich mask. The softening and detangling effects of its jojoba oil will be heightened by the heat. If your hair needs extra TLC, apply from root to tip and wrap a towel around your head to trap the heat in.